Edu Swarm provide no information on their website about who owns or runs the business. The Edu Swarm website domain (“eduswarm.com”) was privately registered on April 27th, 2018. Further research reveals Edu Swarm marketing videos in which Bobby Cannata cites himself as owner of the company. Whether Cannata is still a Market America affiliate is unclear. Read on for a full review of the Edu Swarm MLM opportunity. Edu Swarm has no retailable products or services, with affiliates only able to market Edu Swarm affiliate membership itself. Edu Swarm affiliate membership provides access to a video and audio library. Edu Swarm affiliates buy into a five-tier 2×2 matrix cycler. 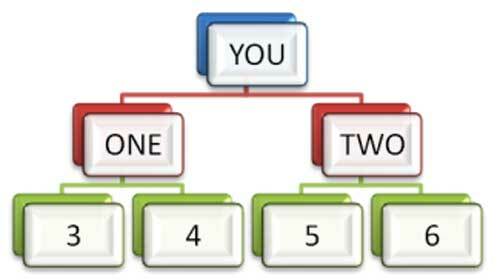 In total a 2×2 matrix houses six positions. A cycle commissions is generated when all six positions in a 2×2 matrix are filled. Positions in the matrix are filled by position purchases by new and existing Edu Swarm affiliates. 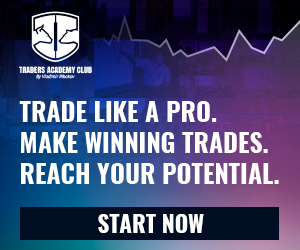 Edu Swarm affiliates sign up and then either buy in for 0.005 or 0.03 BTC. a 0.005 BTC position generates a new position in tier 1 of the cycler. These increased rates are paid out on all subsequent cycles after the first initial cycle on any given tier. Note that to qualify for cycle commissions, each Edu Swarm affiliate must recruit at least two new affiliates who buy at least one cycle position. To remain commission qualified, one new affiliate who buys a cycle position must be recruited every 120 days. Edu Swarm affiliate membership is free. To participate in the attached MLM opportunity however, a 0.005 BTC or 0.03 BTC cycle position must be purchased. …that’s pretty much all that separates Edu Swarm from the countless cycler Ponzis that have come before it. The content library is neither here nor there. It can be ignored and serves only as pseudo-compliance for investment fraud. New Edu Swarm affiliates buy in for 0.005 or 0.03 BTC, with commissions paid out entirely of subsequent buy-ins. In this manner each tier of the cycler is a fixed investment, paying a ROI once enough subsequent investment has been made. Phantom positions at each cycler tier recycle invested funds, shuffling even more money to those who invest early. At the top of the chain is Bobby Cannata, who through one or more pre-loaded admin commissions will earn the majority of invested bitcoin. This is how pretty much every cycler works, owing to the fact the majority of money is paid out in the upper tiers. Owing to having been created first, admin positions always reach the upper tiers and begin pulling large sums of money out of the system first. As with all Ponzi schemes, once affiliate recruitment dies down so too will ROI payments. Being a cycler, this will manifest itself by matrices on each tier taking long and longer to cycle. Eventually things slow down such that Edu Swarm will have effectively collapsed. In addition to withdrawing funds through his admin position(s), Cannata will also keep funds attached to uncycled positions. Naturally the math behind Ponzi cyclers guarantees that the majority of investors lose money. 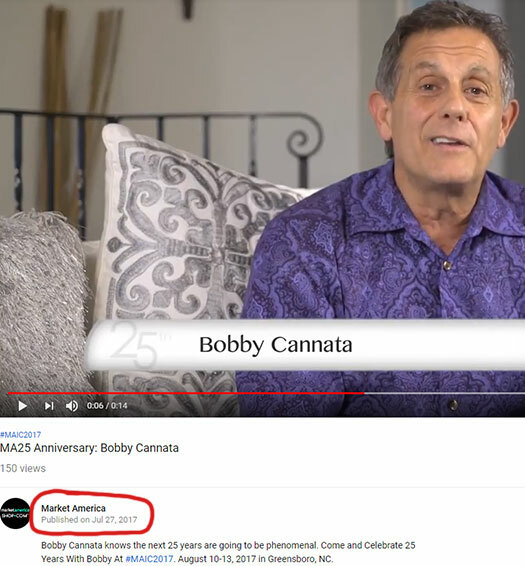 Having been in the MLM industry for at least twenty-six years, Bobby Cannata has no excuse for launching a Ponzi scheme.